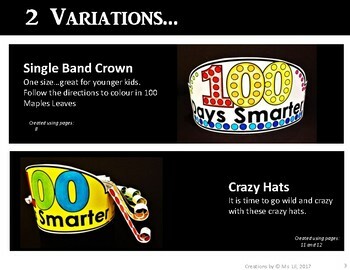 100th Day of School Hats … This is not your ordinary 100th Day Hat! 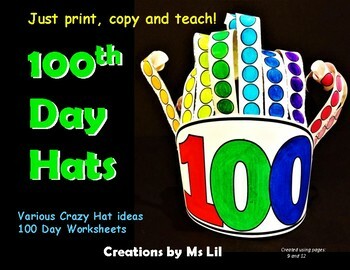 A creative way to celebrate 100th Day of School with these 100th Day Hats featuring dots. These hats are great for every grade level from Pre-K to Grade 6. 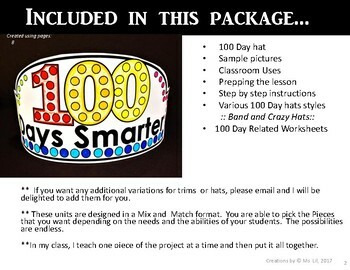 I have included a list of possible variations and challenges for creating a 100th Day Hat that will be perfect for your kiddos. Either create a simple hat by colouring in 100 circles or GO WILD by creating a CRAZY Hair Hat. 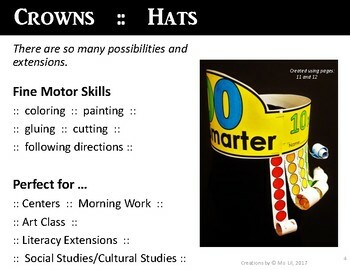 There are so many possibilities and extensions for these 100 Day Hats and Worksheets. ** If there are additional sayings, phrases or designs, please do not hesitate to email your requests. I would be delighted to add them to this template or create a new template package just for you.